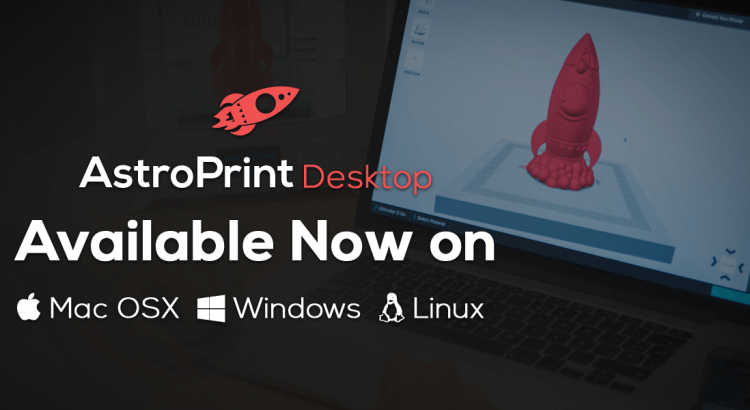 Most people are aware that AstroPrint is a robust cloud platform for managing and monitoring Desktop 3D Printer(s). What many don’t realize is that AstroPrint is also a very efficient content delivery platform for 3D Printable content. It is one of the best ways for designers and developers to reach Desktop 3D Printer owners around the world. In fact, AstroPrint is PERFECT for content distribution. AstroPrint’s content delivery infrastructure is a bit like Google Play, except, instead of smartphones, our focus is Desktop 3D Printers. Anyone can use the AstroPrint API to reach thousands of Desktop 3D Printer owners worldwide. 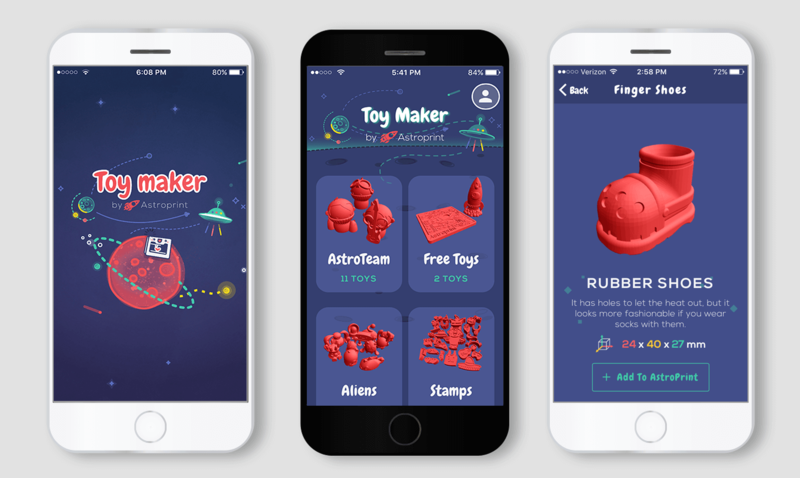 The Toy maker app is a real world example of how content delivery can work on AstroPrint. I’d like to officially introduce you to our latest creation. AstroPrint Desktop is a cross-platform, cloud-enabled Desktop app that allows you to manipulate and print designs locally and via the cloud. 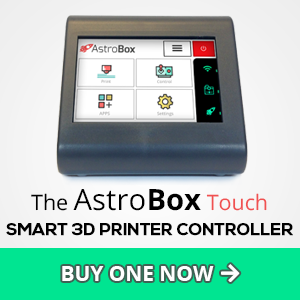 AstroPrint Desktop allows you to print to your 3D Printer via USB without needing an AstroBox Gateway. Meanwhile, if you are an existing AstroPrint user, AstroPrint Desktop will extend your capabilities even further and make your workflow much more pleasant. Sticking to our goal in making 3D Printing accessible to more and more people, AstroPrint Desktop is another pillar in the master plan. So, what can AstroPrint Desktop do? 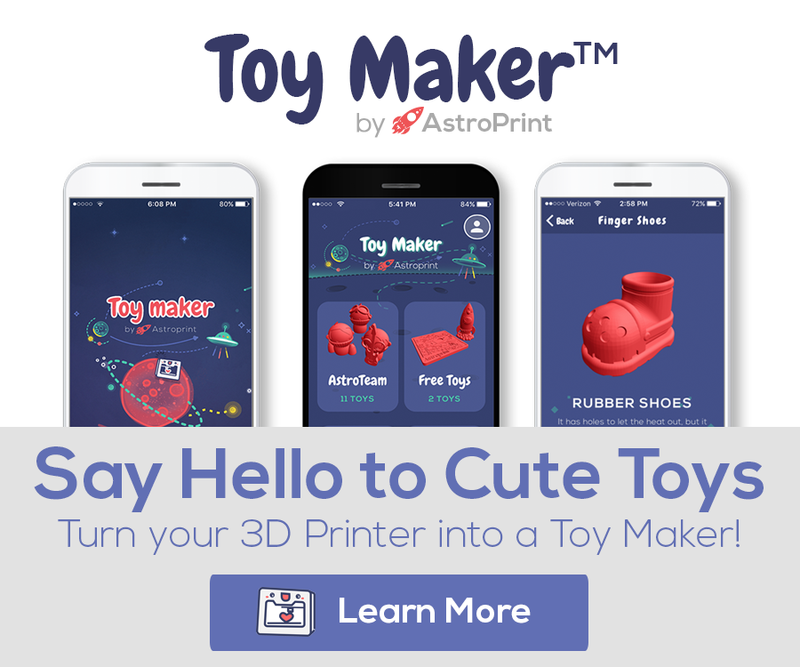 AstroPrint Mobile is a cross-platform (iOS & Android) mobile app that will allow you to remotely manage your 3D Printer from your smartphone and receive real-time notifications of your printer status. Since AstroPrint’s inception (in 2013), our primary goal has been to simplify 3D Printing and provide the most advanced cloud platform in existence for managing Desktop 3D Printers, and distributing 3D Printable content. 4 years later, with two successful Kickstarters, and over 700,000+ hours of 3D Printing (that’s about 80 years of printing!) on our platform, we have learned a lot from you on making 3D Printing simpler. So you want to load up multiple designs on your 3D Printer and control the sequence of when they will be printed? As in, you want to use print queues with your 3D Printer? If so, I have good news for you. The ability to use print queueing is now available on AstroPrint Pro Accounts. This means that you can line up any number of designs on any number of printers in any sequence, right from your AstroPrint cloud account. 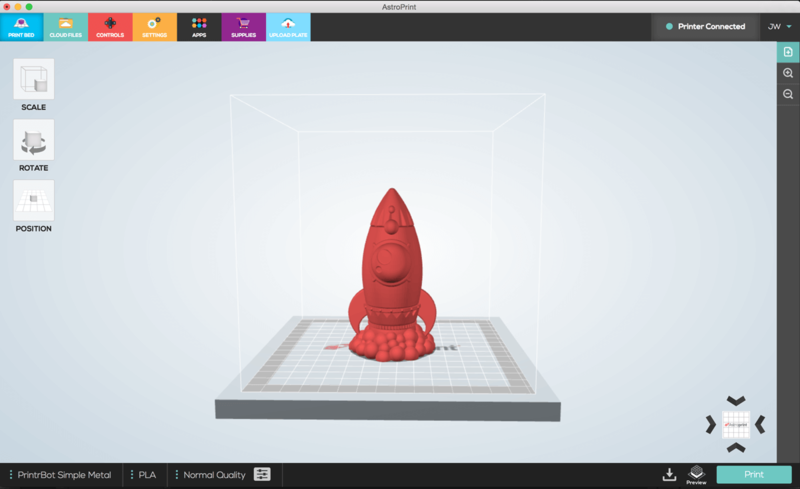 We’ve released a bunch of features that should make 3D Printing a bit smoother on AstroPrint. These features aren’t necessarily huge, but it should certainly make your workflow easier. While a few of these features (like Print Preview) are fairly obvious, unavoidable and straightforward — a couple of them (namely, Notes and Tweak Settings) are a bit hidden on the platform. Print Preview – When you are trying to print a file, the Print Preview screen will give you an estimate of how long the print will take along with options to discard the print file and check to make sure your bed is clear. Tweak Settings – You also have the ability to Tweak Settings from your last print when you are experimenting with settings — without having to start all over again. Print File Name Changes – Fairly self-explanatory. You can now change the confusing file name(s) on any print file(s). 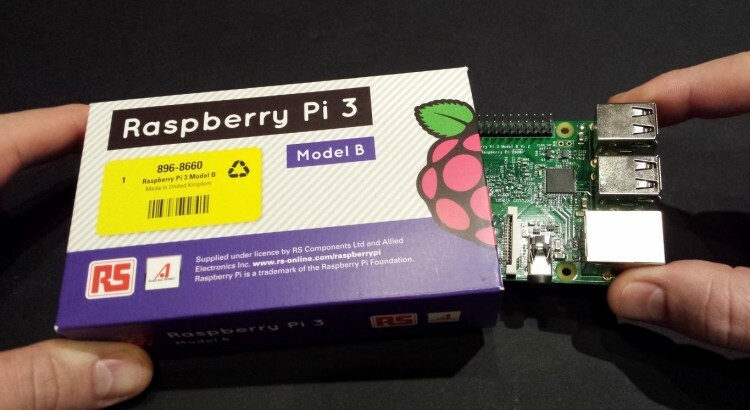 If you are looking for instructions on How to build your own Astrobox with a Raspberry Pi 3, follow this guide. AstroPrint currently supports Raspberry Pi 3. You might want an additional WiFi dongle along with the Raspberry Pi 3’s built-in WiFi if you’d like the best ease of setup. Why would I need another WiFi dongle when the Raspberry Pi 3 has built in WiFi? The built-in WiFi on the Raspberry Pi 3 cannot maintain a simultaneous network connection to your WiFi network and broadcast it’s own hotspot like we require on our Astroboxes. Therefore, the built-in Raspberry Pi 3 WiFi is not sufficient to give you the easiest plug-and-play experience. With that said, the built in Raspberry Pi 3 WiFi is still used. The need for the additional WiFi dongle is mainly to support hotspot functionality. Note: If you don’t need hotspot functionality, it is possible to use a Raspberry Pi 3 without a WiFi dongle. There’s an alternative method of setting up the box using ethernet and our desktop app explained here. If you have any questions or suggestions about any of the above, join us on our forums. Live video streaming is now available on Astroprint! Our latest release, v0.9(0) is finally out! The major highlights in this release: Raspberry Pi 3 support (read more about this) & Live Video Streaming. Live Video Streaming is arguably one of the most requested features from our users and we are happy to announce that you now have the ability to watch a live video stream of your 3D Printer from anywhere around the world! This means that you can monitor your prints in real time in full screen and in high definition straight from your AstroPrint dashboard.